The purpose of masonry is to build and repair structures or to cover walls with brick, stone or concrete blocks. 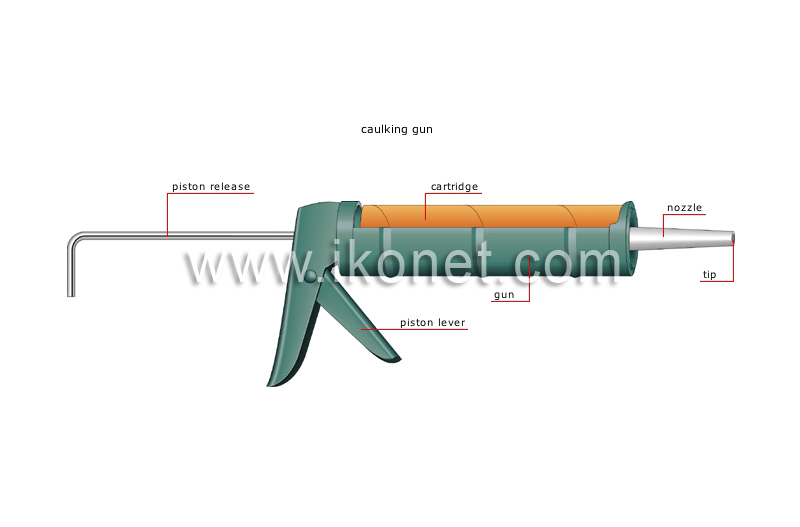 Instrument using a piston mechanism for applying caulking to seal joints and openings. Conical nozzle forming the end of the cartridge. Open cylindrical instrument supporting a cartridge. Trigger controlling the forward motion of the cartridge. Elbow-shaped shaft with a push stick (piston) that compresses the contents of the cartridge or releases the gun. Small replaceable reservoir, fitted with a nozzle and containing a malleable, adhesive caulking. End of the nozzle through which the caulking is applied.